- Fixed Auto Power On (No need anymore to press power button on RCU or Front panel to turn on receiver). 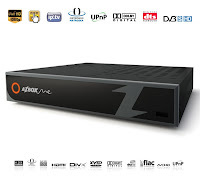 How to update Micom Firmware on AZBox Me? Unpack archive AZBox-Me-MICOM-Update.zip , and copy file micom.bin together with update.ext file to USB Memory Stick. Plug USB Memory Stick in AZBox Me and Turn on on receiver. After You see TV Update GUI select Flash Micom, and wait that receiver reboot and then you can remove USB Memory Stick. 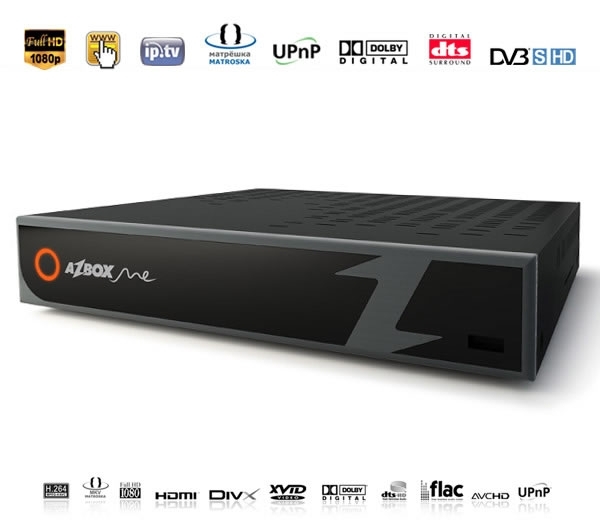 To test if Micom Firmware Upgrade process was finished successfully please remove and reinsert power source of AZBox Me, receiver will boot automatically. Unpack and take the update.ext file from it for your USB. When you reboot you get the update screen. Select 5. Flash Micom. It takes a few seconds and the receiver reboots. And where is update.ext file? See update ;) Had to search it also. It was indeed better when they packed it also in the zip file. @Tsakman , you are right! But why would anyone mess with MICON when we are warned not to. Besides why would anyone want to not be able to control the power from the RCU? It's done really fast. Seen no errors. I think it's pretty safe. RCU still works here after the update.